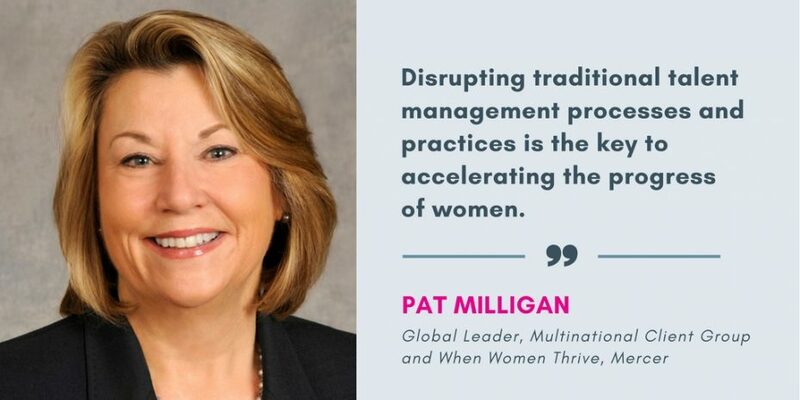 Pat Milligan is a Senior Partner and Global Leader, Multinational Client Group. Previously, she served as President of Mercer’s North America region from 2012 until 2015. 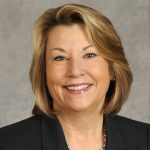 Prior to that, she was the President of Mercer’s Talent business segment and led the human capital, information solutions, and workforce communication and change businesses. From 2005 through 2008, Pat was the Chief Markets Officer where she successfully led a number of Mercer’s key initiatives, including the implementation of the global client relationship management system, the sales effectiveness program and the repositioning of Mercer’s brand. Prior to joining Mercer in 2005, Pat led the worldwide markets business at Mellon Human Resources Services. She also spent two years in Mellon’s HR Outsourcing and has first hand experience in integrating consulting and outsourcing capabilities. Pat also held various business leadership roles at Towers Perrin, where she led the Human Resource Effectiveness business and built and led the Change Management, Communication & Measurement, and People Strategy businesses. In addition, she was the Managing Director of strategic planning, and sales and marketing. Pat was a member of Towers Perrin’s Board of Directors. Pat currently serves on the World Economic Forum Global Agenda Council. In May 2012, she was selected by Consulting Magazine − which is published by the Kennedy Institute − as one of the nation’s top 25 consultants, recognized for her excellence in leadership. She is a graduate of Georgetown University’s School of Foreign Service and the Kellogg Graduate School of Management at Northwestern University. While much attention has been given to advancing gender parity in recent years, research shows that, overall, we are moving backwards. Mercer’s When Women Thrive, Businesses Thrive research finds that gender inequality is actually growing in some industries, including the financial services and technology sectors, while the World Economic Forum’s Global Gender Gap Report 2016 concludes that, at the current rate of change, the economic gender gap will not close for another 170 years. Against this disappointing backdrop, we stand on the cusp of a Fourth Industrial Revolution. The advent of robotics, artificial intelligence and other technological breakthroughs are expected to transform labor markets and significantly displace jobs. The World Economic Forum’s The Future of Jobs report estimates that between 2015 and 2020, 35% of core job skills will change, while some jobs will disappear altogether and new jobs will be created. Unfortunately this disruption, rather than helping women, is likely to further interrupt progress toward gender equality. According to the Forum, the jobs under the greatest threat of automation and displacement are disproportionately those held by women. The speed and magnitude of the coming changes mean that it is high time for actions that will not only prevent the gap from widening but will actually help move women forward. The answer is not to fix women. While there is nothing wrong with championing individual women, leaders and organizations looking for significant progress must marshal data, engage stakeholders and disrupt traditional talent management processes and practices in order to champion the potential of all women – and all diverse talent – at all levels in the organization. What does the organization hope to gain by accelerating the progress of women (i.e., catalyze innovation; enhance customer intimacy; drive growth and shareholder value)? Are women thriving in the organization today? What roles and competencies are needed to drive growth in the future? Which roles are critical for advancement in the organization? What do diverse talent view as critical to success? What are the perceived impediments to progress? How can we equip leaders, managers, men and women to contribute and lead efforts to improve diversity? Is your recruitment process as objective as it can be? What actions are you taking to strip biases out of selection? Have you reviewed your practices and scrutinized where biases may exist? Do you apply a gender lens to annual reviews as a means to drive greater equity? Are leaders equipped with an understanding of the competencies that drive success – and do men and women have equal access to experiences and development opportunities that build these competencies? Do your health and financial benefit offerings consider the unique needs of women – as consumers and caretakers, as well as in terms of their greater longevity? What are your organization’s leave and flexibility policies to support colleagues and their families? Are these benefits offered to and used by both women and men – such that women are not penalized for use? Are managers equipped to effectively communicate available benefits and support employees in their application and use? Ensuring that women thrive in this time of disruption – and that organizations reap the array of benefits offered by a thriving female workforce – will require sustained, year-over-year focus. Leaders will need to embrace the critical role they play in achieving this vision by connecting their actions to those organizational actions most important to advancing progress. Organizations will need to encourage fundamental behavior change, supported by innovation in talent management processes and practices, and reinforced by measurement and accountability. And women leaders must continue to personally engage by articulating where gaps exist and collaborating with stakeholders and men to advance progress for women in the workplace today and through the disruptions of tomorrow.